Make secure purchases through a Paypal shopping cart! Any of my designs you see on a tile on my website (tile listings begin here) can be placed on a towel. The design is transferred using sublimation printing, to a white, 15" x 25", 100% polyester plush towel, for kitchen or bathroom. The design is printed on 1/4 of the towel (when the towel is folded in half lengthwise and hung over a towel rack, the entire design is presented on the front (as shown in the examples to the left)..
During the printing process, the dye is absorbed into the fibers of the towel so it does not wear off and fade. After the first washing, the graphic will appear a bit lighter because the fibers of the towel have been fluffed up, but there will be little change in color after that. Choose the design you want on your towel from those shown in the tile section. Copy the name and item number from the tile and paste it in the box below. 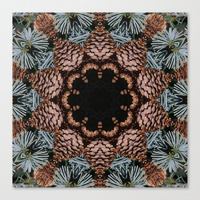 Then choose "Add to Cart"
Any of my designs you see on a tile on my website (tile listings begin here) can be placed on a pot holder. The design is transferred using sublimation printing to an 8 x 8", or 7" x 9" pot holder. The photo is printed on the cloth side, and the other side is a heat resistant, silver quilted pad. 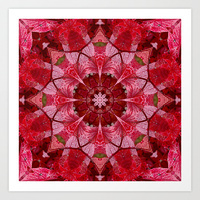 (I have a number of 7 x 9 size in stock; new items produced will be 8 x 8). Choose the design you want from those shown in the tile section. Copy the name and item number from the tile and paste it in the box below. Then choose "Add to Cart"
In addition to the bibs pictured here, any of the designs you see on a tile on my website (listings begin here) can be also be placed on a bib. The design is transferred using sublimation printing, to a white fleece bib, 8.75" x 14.25", with Velcro closure. Choose the design you want on a bib from those shown in the tile section. Copy the name and item number from the tile and paste it in the box below. Then choose "Add to Cart"
These items are produced by, and SOLD by society6, from my designs and I recieve a royalty when they are purchased. 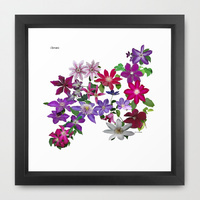 These items need to be ordered directly from the society6 web site; I do not sell them from my R V James Designs web site. My store on Zazzle. They produce a number of items which I do not make myself, with my permission to use my design. Items include:: neck ties, pillows, placemats, napkins and some shirt and tote bag designs that I don't do myself and offer here. They sell, make and ship the products and I receive a royalty.